This cute, curly haired, dimple faced actress with the sparkling eyes, is perhaps the most famous child star in cinema history. 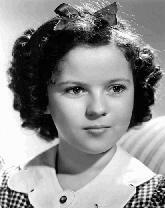 After a couple of brief film appearances, Shirley made her official feature film debut in “The Red-haired Alibi” (1932) when she was barely 4 years of age. 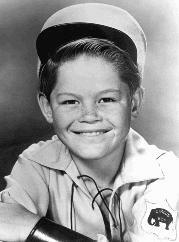 Spencer was about 5 years old when he kicked off his acting career playing one of Dan Aykroyd’s kids in the TV sitcom “Soul Man” (97). 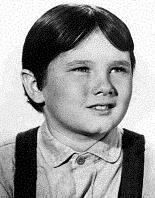 His big screen film debut came opposite Bruce Willis in Walt Disney’s “The Kid” (2000). Other notable films include “The Santa Clause 2” & “The Cat In The Hat”. After making his film debut at age 8 in “Tarzan Finds A Son” (1939), Johnny never looked back. Seven more hit Tarzan films followed before Johnny became a star in his own right with a series of popular “Bomba” jungle adventures, the first of which was “Bomba, The Jungle Boy” (1949). From a family of 7 children, Macaulay made his debut at age 8 opposite Hollywood legend Burt Lancaster in “Rocket Gibraltar” (1988). Within 2 yrs. he clocked up standout performances in “Uncle Buck” (1989) & “Home Alone” (1990), a film which established him as a Hollywood superstar. Child star from Illinois who got his big break, at age 10, with a starring role in the popular & long running TV sitcom “Diff’rent Strokes” (1978 - 1986). In 2003 Gary was one of the candidates who ran for “Governor of California” & lost out to Hollywood heavyweight Arnold Schwarzenegger. Daughter of actor John Drew Barrymore who gained prominence after her role in the Spielberg Sci-fi blockbuster “ET”. Other child roles followed including, the 2 Steven King flicks “Firestarter” & “Cat’s Eye” but today Drew is best known for her work in the hit “Charlie’s Angels” films. Californian youngster who appeared in a number of TV shows before being cast in two blockbuster Spielberg films “Gremlins” & “The Goonies”. Corey’s career soon blossomed with roles in ”Stand By Me”, “The Lost Boys”, “License To Drive”, “The Burbs”, “Meatballs 4” & “Dream A Little Dream”. In 1986 the Olsen twins, Mary-Kate & Ashley, were born. In 1987 they were starring with Bob Saget & John Stamos in the hit TV Series ”Full House”. By the time the series ended in 1995, the girls had become household names & today, their TV & film careers are continuing to flourish. Tatum (age 10) became the youngest actress to win an Academy Award for her performance alongside her real-life father Ryan O’Neal in “Paper Moon” (1973). Other notable films include, “The Bad News Bears” (76), “Nickelodeon” (1976) “International Velvet” (78) & “Little Darlings” (1980). “Tomcats” Dakota got her big break at age 7 with a prominent role in the Sean Penn flick “I Am Sam” (2001). Her performance won her critical acclaim & a number of awards including “Best Young Actress” at the “Broadcast Film Critics Association Awards”. Former child actor who had already clocked up a wide range of film appearances including “Avalon”,“North”, “Paradise”, “Flipper”, “The War”, “Forever Young”, “Deep Impact” & “The Faculty” before winning the starring role of Frodo Baggins in the blockbuster trilogy “Lord Of The Rings”. Talented child actor who appeared in a commercial at age 4 before wining the role of Forrest Gump Jr. in “Forrest Gump”. This led to other bit parts in TV & film, but it wasn’t until his role opposite Bruce Willis in the box office smash “The Sixth Sense” that Haley gained world attention & acclaim. Made his film debut at age 6 in the critically acclaimed Tom Cruise flick “Jerry Maguire”, a stint on the TV series “The Jeff Foxworthy Show” followed, together with a string of big screen film appearances, most notably, “Stuart Little”, “The Little Vampire”, “Like Mike” & “Stuart Little 2”. This Canadian youngster got his break in 1982 with a part in the TV series “The Edison Twins”. Small film roles followed ( “Firstborn”, “Silver Bullet” & “Murphy’s Romance”) before his career moved into high gear with “Lucas”, “The Lost Boys”, “License To Drive” & “Dream Machine”. Cute kid from Chicago who made a few big screen film appearances ( “The Boy Who Could Fly” & “The Princess Bride”) before getting a double break in 1988 with starring roles in the popular TV series “The Wonder Years” & the body switch flick “Vice Versa” opposite Judge Reinhold.